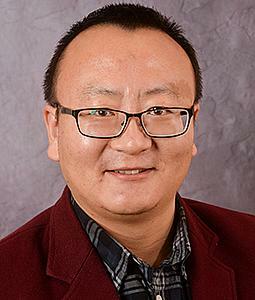 Dr. Zhenlong Li is an Assistant Professor with the Department of Geography at the University of South Carolina, where he leads the Geoinformation and Big Data Research Laboratory (GIBD). He received his B.S. degree in Geographic Information Systems from Wuhan University in 2006, and the M.S. and Ph.D. degrees in Earth Systems and Geoinformation Sciences from George Mason University in 2010 and 2015 respectively (Advisor: Chaowei Yang). Dr. Li’s primary research field is GIScience with a focus on geospatial big data analytics, high performance computing, spatiotemporal analysis/modelling, and geospatial cyberinfrastructure/CyberGIS with applications to disaster management, climate analysis, and human mobility. He has more than 60 publications including over 35 peer-reviewed journal articles, 20 articles in books and proceedings, and 2 books. Currently, he sits on the Editorial Board of the ISPRS International Journal of Geo-Information and PLOS ONE, serves as the Chair of the Association of American Geographers CyberInfrastructure Specialty Group , Co-Chair of the Cloud Computing Group of Federation of Earth Science Information Partners (ESIP), and the Board of Director of the International Association of Chinese Professionals in Geographic Information Sciences (CPGIS). Copyright 2015- 2019 Zhenlong Li.